Wisconsin Historical Society Press, 9780870208638, 160pp. 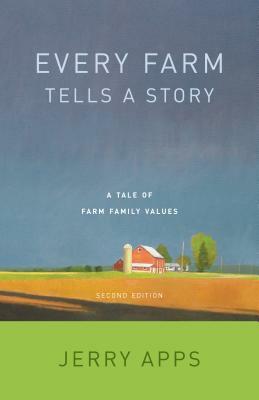 A professor emeritus of agriculture at the University of Wisconsin–Madison, Jerry Apps has written more than forty fiction, nonfiction, and children’s books, many of them on rural history and country life. His work has won awards from the American Library Association, the Wisconsin Library Association, the Wisconsin Historical Society, and the Council for Wisconsin Writers, and he has created four documentaries about farm life and country living with Wisconsin Public Television. Jerry and his wife, Ruth, divide their time between their home in Madison and their farm, Roshara, near Wild Rose, Wisconsin.